With deepest thanks to Jeff Congdon for the generous donation of a scanner. Without the immense contributions of the Jewish community throughout Indianapolis history, the city would not have become the place we currently know, love and enjoy. Indy’s Jewish community touched every stripe of retail establishment, charities, art, architecture and everything in-between. The city would present an unimaginably different visage today. And while a number of buildings of those former retail palaces still stretch across Indy’s skyline, and charities continue to further their missions, there are some ghostly corners of the city show no discernible trace of a once-flourishing existence in 2014. The nondescript southeast corner of Delaware and 10th Streets is passed thousands of times each day. Doubtful the average passerby would even be able to conjure a vision of the place. It has become a forgotten space, as is the all-too-often the fate of city land that lost its one-time adornment. 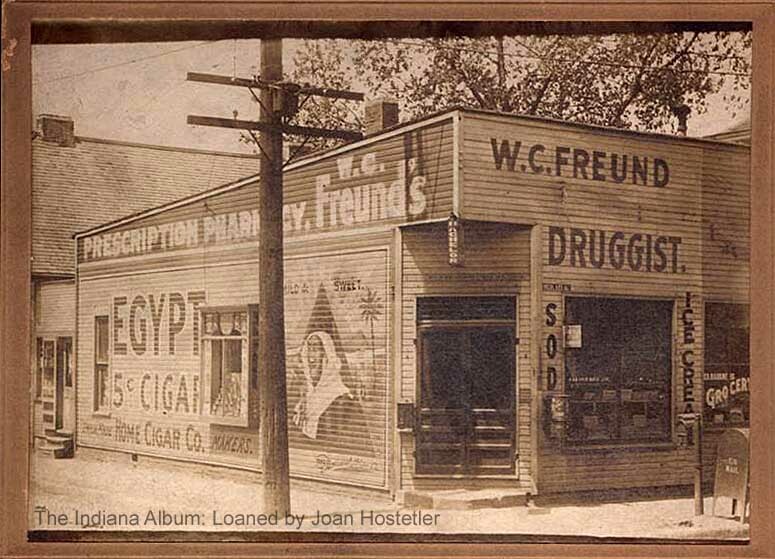 But 100 years ago, the property on the corner bustled with activity, as members of the Indianapolis Hebrew Congregation fed their souls and determined the direction of their futures. The average Indianapolitan worth his salt knows that beloved author Kurt Vonnegut’s father and grandfather were architects who greatly shaped the look of many an Indianapolis block, but they’d likely be hard-pressed to name any building (beyond, perhaps, the Athenaeum) associated with the Vonnegut name. Vonnegut and Bohn formed an architectural firm and partnership in 1888, working together until 1908, when Bernard Vonnegut died. Kurt Vonnegut, Sr. had joined the firm by the time of his father’s death, and the firm continued to labor–name unaltered– for a time. In their twenty years working together, the original duo was not only responsible for Das Deutsche Haus (now the Athenaeum), but also designed the Pembroke Arcade, the John Herron Art Institute “museum building” (now part of Herron High School), and lavish private residences. 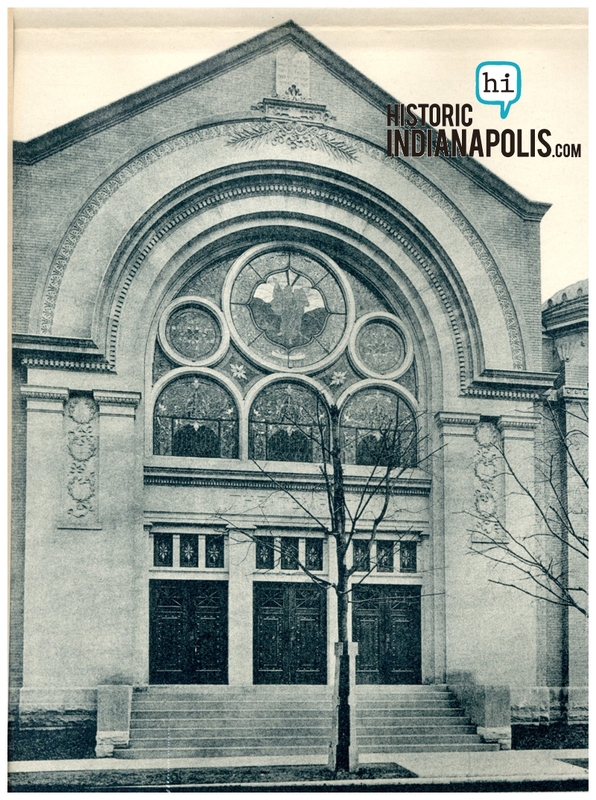 The firm of Vonnegut & Bohn also designed the Temple of the Indianapolis Hebrew Congregation which stood on the southeast corner of Delaware and 10th Streets. 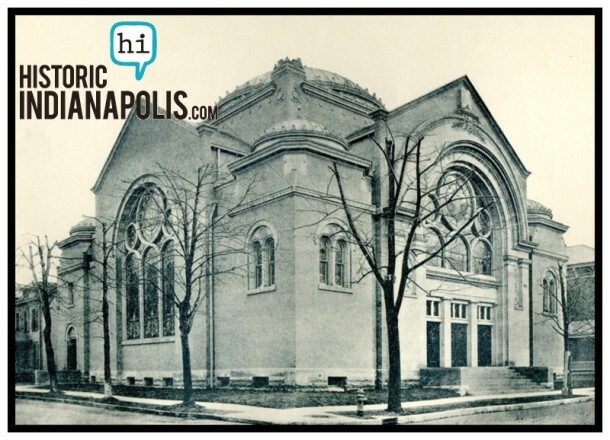 The Indianapolis Hebrew Congregation was (and still is) a progressive congregation–so generous and inclusive, that they allowed services of the Meridian Street Church, St. Paul’s Church and Plymouth Church to take place here when their buildings were destroyed (prior to 1910). Since services for the home congregation were on Fridays and Saturdays, the temple was available to be used by others on Sundays. Through the congregation’s history, their Rabbis and members of the congregation have been indefatigable in their contributions and generosity to the Indianapolis community. It is doubtful that anything half so beautiful inspiring will fill this saddening void again. What would you hope for the future of this space? Basil, a good question, especially since the Indianapolis Hebrew Congregation has a cemetery on the corners of Bluff Avenue and Kelly Street, with interments dating from the 1880s. Shapiro’s on South Meridian is the last vestige of a thriving Jewish community that was once on the near southside of Indianapolis. I understand that there were five Jewish temples there. Appreciate that information, Louis. i think there’s a former temple near, or adjacent to Harry E Wood High School off South Meridian…or thereabouts. It is my understanding that the current Concord Community Center had its beginnings as a Jewish re-settlement house. I remember the original building was on Morris just west of Meridian. It’s current location is the former site of IPS grade school number 22. 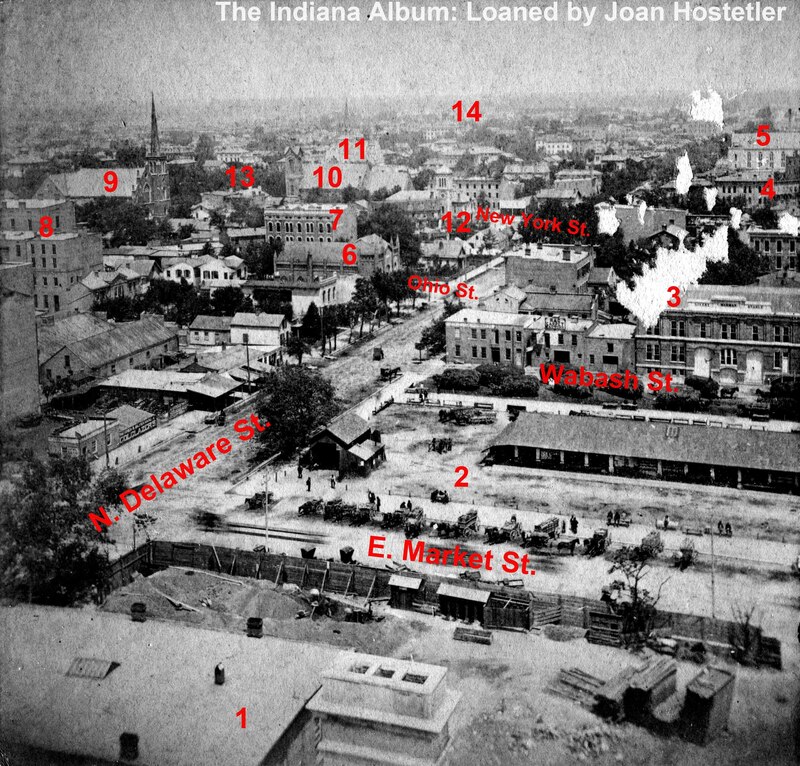 Is there a book on the Jewish immigration to Indy that would detail the different Congregations/Temples that were located on the near-Southside? I attended the German founded Sacred Heart just to the south of the original Jewish area and remember that when I was very young one of the buildings south of Shapiro’s on the west side of Meridian still had Hebrew (?) lettering on its big plate glass windows. Indeed, the beginnings of the Jewish community were on the south side. From the very first family in 1849, the Solomons, the center of settlement was on the south side. You may want to read the only history book on the Jewish community by Judith Endelman, “The Jewish Community of Indianapolis – 1849 to the Present” The book was published in 1984. The other book worth reading is the one put together by Susan Hyatt, of IUPUI’s Anthropology Dept., “Neighborhood of Saturdays” – she studied, along with her students, the interaction between the Jews and African Americans on the south side. (What happened between then and now will be a feature for another day.) …. meaning occupancy by the notorious Jim Jones …. It was nice reading your article on IHC Temple. You may not know that the Vonnegut architectural firm also built the synagogue located on 34th and N. Ruckle going under the name Beth El Temple. That building was started in 1924 and still stands as the last remaining synagogue structure in Indianapolis. I represent an organization called Temple Heritage Center which together with Indiana Landmarks and the Mapleton Fall Creek Development Corporation is trying to save and stabilize the structure. Our efforts are ongoing and we look forward to a revitalized building that will provide programs and services for the immediate neighborhood and the Jewish community. We’ve had someone on the committee keep us in the loop and we are very encouraged that there are so many working to preserve the architectural treasure at 34th and Ruckle. Thanks for your comment! Isaiah said, the former Beth El Temple at 34th & Ruckle is the “last remaining synagogue structure in Indianapolis.” That is incorrect on two accounts. First, the Jewish community is alive and thriving in Indianapolis and within the last several years has expanded into the Carmel area . There are currently 6 synagogues in the Indianapolis metropolis. Marion County has 4 synagogues within its borders, the other two congregations moved to Carmel within the last 5 years.. All but one of these congregations have their own buildings; and that one is a new startup congregation. Second, if Isaiah’s statement is referring to “original” buildings, he is wrong there also. The Jewish Community of Indianapolis was originally located on the near south side, which is the reason for the Jewish cemetery being located there. Although the Community had started migrating to the north in the first half of the 1900’s, there remained a group on the south side for many decades. Industrial encroachment and finally the building of the interstate system destroyed much of what was left of the homes and businesses. However, most of the Jewish Community had already migrated to the far north side of Indianapolis. In 1963 the last remaining south side Jewish congregation moved north. 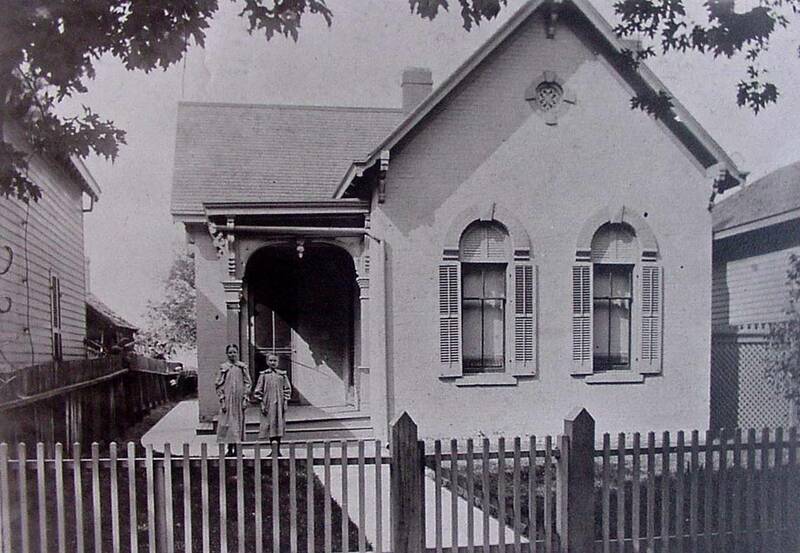 Its former building still stands at the northwest corner of W. Morris & S. Church Streets. The little red brick building is now used by an Eastern Orthodox Church. All that remains of the former south side Jewish Community is Shapiro’s and the Jewish cemeteries. (Most of this information is available in the book, “The Jewish Community of Indianapolis” by Judith E. Endelman, and various other works). Temple Beth El on 34th and Ruckle is the last remaining HISTORICAL synagogue structure that was specifically built as a synagogue. Though worship can be conducted anywhere, including a home or even a church that was purchased, the one on 34th and Ruckle was built in 1924, dedicated in 1925 and specifically served the Congregations of Beth El-Zedeck and Bnail Torah until it was sold to a church in 1967. 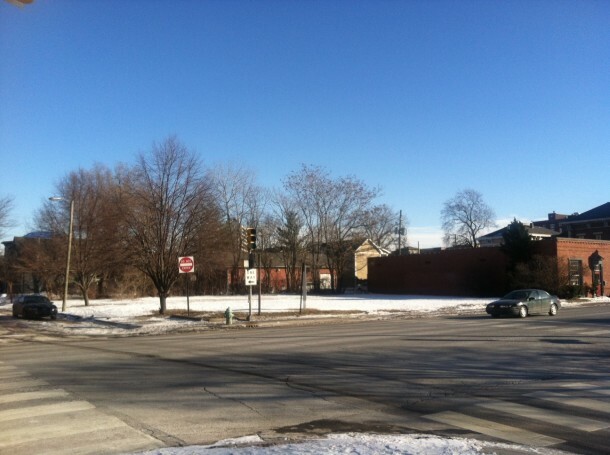 The Mapleton Fall Creek neighborhood, where the Temple is located, served as a center of Jewish life on the near north side of the city for a whole generation. Isaiah, my sincere apologies. After re-checking my sources I was wrong. The building at W. Morris & S. Church Streets was not build by Jews. That building was a former Lutheran church purchased by the Sephardic Jewish congregation in 1919 and was used until 1963. They were the last congregation to leave the south side. On another note…In 1962 three south side synagogues merged to form United Orthodox Hebrew Congregation and they built a synagogue on Central Avenue just south of Kessler Blvd. Not sure what happened with the original Orthodox congregation at this location. (I’ve heard they gradually shifted to the Conservative movement of Judaism}. Congregation Shaarey Tefilla (a member of the Conservative branch of Judaism) was meeting in the building until 2007. They sold the building and moved to their newly built synagogue in Carmel. Is the building on Central Avenue still there? It has been a few years since I was in that neighborhood. If it is still there that would mean there are 2 building still standing that were actually BUILT by the Indianapolis Jewish Community. Granted this latter one is not as “historical” nor did it posses the same beauty as the old Beth El site. Tim – the church on the south side was built in 1907 as st. George. And is today being still used as a church. This history of Jewish congregations is actually very interesting and needs more thorough research. 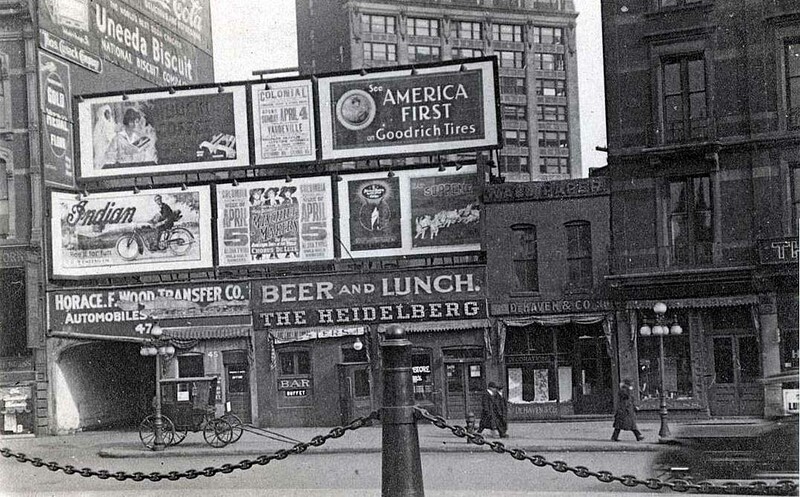 On Delaware and 10th, around years 1896-7 was a grocery store called Gates & Blackwell. 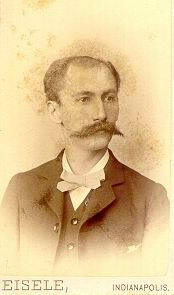 Roten M Blackwell was one of the owners along with Peter Gates.